Just paraphrasing William Shakespeare and putting a new spin on a common dilemma for homeowners who might like their current home and neighborhood but desire a few new amenities for the old abode. If you have an older home, it has its quaint little charms, but it no doubt has its little quirks as well. If you live in an older home, your house has character and you don’t want to take that for granted, yet if you wish to modernize or add onto your home, it is crucial that you find a home remodeling expert who can work to preserve the character of your home and its architectural style as well as harmonize any new enhancements to that style. Though you may endure some minor hardships as a result of living in an older home without the modern amenities, a good contractor in Menlo Park and his team can give you the best of both worlds: infusing some modern details and amenities, yet preserving the look of your home that you really love. And, remember that your home need not be old and decrepit to add enhancements – there is always room for improvement, and, with the right contractor on your side, you are well on the way to creating a home that is the envy of the neighborhood. If, up until now the bravest you’ve been toward revamping your home’s style was adding a little ambiance with a homey wreath on the door and a couple of pots of red geraniums on the porch stairs, then you will have to expand your horizons. 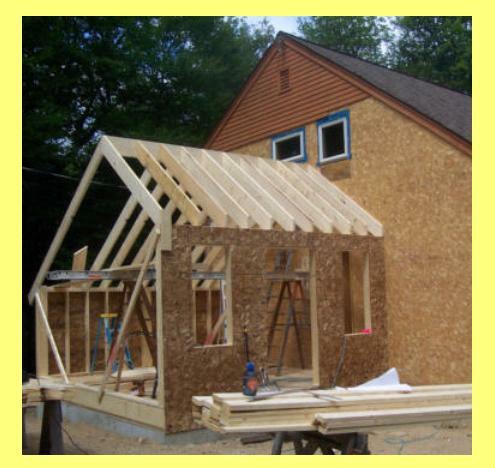 There are many reasons to make additions to the house – perhaps a little bundle of joy is on the way and more room is needed, or maybe a teenaged daughter or son is getting a first car. Perhaps retirement finds a couple with more time on their hands to spend enjoying themselves languishing in the pool, rocking away on the front porch or playing cards in the sunroom. These are just a few of the suggested items that are popular for home additions in remodeling at the present time. Through the years the size of the family is like arithmetic… you add new members and then one by one they disappear. Add too many members and you need to add rooms to your house. It is not necessarily young ‘uns coming along either. More and more parents downsize and go to live with one of their kids. Often the youngsters leave the nest only to return a few years later when they find out how expensive living on their own really is. In older homes, it is not always as easy to convert to multiple rooms, but often attics can be converted, or dormers created, if the structure, size and shape is right, and, since this is a warm-weather state, the issues of freezing cold attic rooms is not at issue. Even basements can be re-tooled to accommodate separate rooms – a bedroom, kitchen and even a bathroom if need be. A good contractor can size up your home and tell you the best way in which an additional room (or rooms) can be implemented in your home. These days, a new garage can be built to harmonize with the façade of your home, even if it is a stand-alone garage, so revamping your garage will update the look of your home. And if currently don’t own a garage… well, there is no joy in stepping into a vehicle that’s been sitting in the hot sun for any period of time. If you are lucky enough to have a garage, you just walk out there and turn on the car and the A/C and you’re good to go. Likewise, walking from the inside of the house into the garage in the middle of a rainstorm without getting wet is a real plus and as good as any reason to get a garage. We live in a frenetic age where the pace starts early in the day and never lets up, even after the sun goes down. We are slaves to social media and until we untether ourselves from our gadgets we are pretty much under duress all day long. A lap pool is a great addition to the home and to your exercise regimen if you can swing the cost and you have the room. Actually, a lap pool is a long and narrow pool and does not take up much room in the yard. Unlike a traditional pool where you can swim or splash around, this pool is used for swimming laps, which exercise is very beneficial to your cardiovascular system A larger pool, if you have the room, is a great asset to your home as you can keep the family intact and get a good water workout at the same time. Sure those breezes blow off the Bay and they often make the nights a little chilly for sitting outside, even in California. So, why not invest in a sunroom where you can sit on the inside, looking out and admiring the sky in a totally screened-in room when it is raining, or behind the comfortable screened-in area, far away from pesky insects. Some sunrooms even come with a glass ceiling for stargazing. A wraparound porch or a porch that is tucked into a sunny or picturesque part of your yard is also a winning item for a remodeling project. What better way is there to while away the hours, perched on your porch with family and friends and catching up on old times? Bask in the sunny and warm days that California livin’ is all about. Take your dinner out on the porch if you’d like, or, better still – cook and serve that dinner outside. You can do that if you extend your patio to include such amenities as an outside kitchen, or grilling area, or even include a pizza oven. Why stay cooped up in the kitchen when you can be enjoying family and friends while your meal is being prepared? There are many types of popular home additions right now. You have your own ideas, so why not consult a remodeling contractor to see if he could bring those ideas and dreams to fruition?